June 16, 2016 – ULA successfully delivered the OA-6 Cygnus spacecraft to the International Space Station (ISS) on March 22. During the first stage burn, the Atlas V system experienced an anomalous propellant mixture ratio resulting in an early booster shutdown and degradation of first stage performance. The Atlas V’s robust system design, flight software, vehicle margins and propellant reserves enabled the successful outcome for this mission. The Centaur upper stage identified the first stage performance shortfall and compensated with an extended burn to deliver Cygnus to the precise orbit, well within the required accuracy. Per standard processes when a flight data item such as this has been identified, the ULA engineering team, along with their engine supplier and several government customers, formed a robust review team. The review team assessed all flight and operational data to determine direct and root causes and implemented the appropriate corrective actions for future flights. An extensive review of all post-flight data observations determined that at approximately T+222 seconds, an unexpected shift in fuel pressure differential across the RD-180 Mixture Ratio Control Valve (MRCV) and a reduction in fuel flow to the combustion chamber caused an oxidizer-rich mixture of propellants and a reduction in first stage performance. The imbalanced propellant consumption rate resulted in depletion of the first stage oxidizer with significant fuel remaining at booster engine shutdown. The engine supplier has implemented a minor change to the MRCV assembly to ensure the anomaly does not occur on future flights. Engine hot-fire testing, extensive component and assembly level testing and analyses have been performed to confirm the findings. Detailed inspections and minor hardware replacement on all engines will support the current launch manifest. 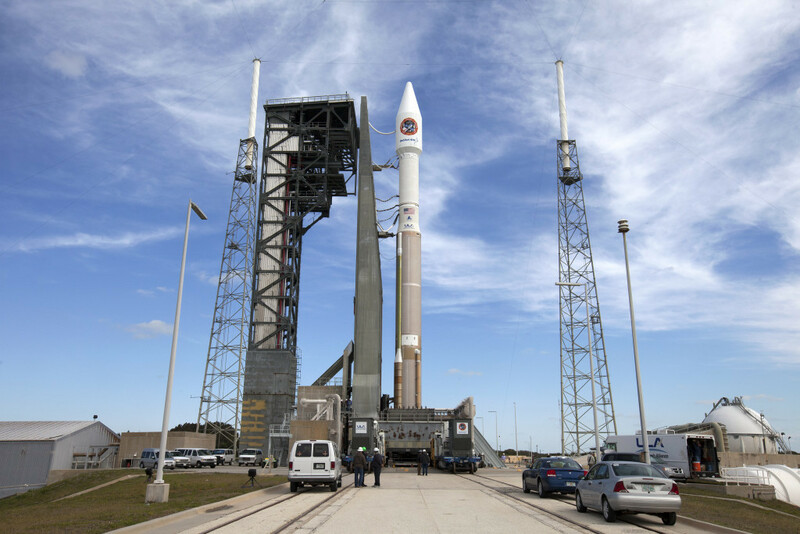 The final and corrective action reviews, as well as flight clearance for the Atlas V MUOS-5 mission occurred on June 2. The Atlas V MUOS-5 launch is scheduled for June 24 from Space Launch Complex-41 at Cape Canaveral Air Force Station, Florida. Lockheed Martin Space Systems’ OSIRIS-REx asteroid sample return mission will also be launching on an Atlas V in September.